Cayenne or Capsicum derives its name from the Greek, 'to bite,' in allusion to the hot pungent properties of the fruits and seeds. 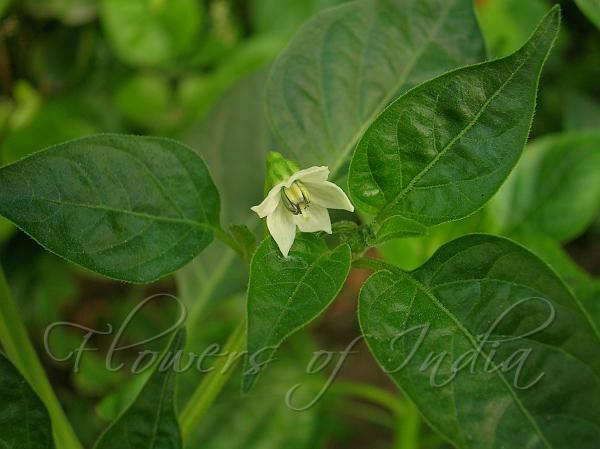 Green chilli is almost essential to Indian cooking. 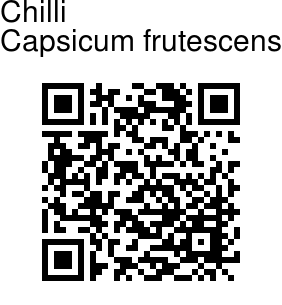 Most of the varieties of pepper referred to as chili peppers belong to C. annuum L. However, some varieties with "chili" included in their name are actually C. frutescens L. Precise categorization of this particular type of pepper is difficult because of the large number of varieties, and the constant creation of new ones by hybridization. Forms sold or grown by one name in certain areas of the country may not be the same elsewhere, even though the names are the same.